Garage parking can be confusing. Please review the directions carefully prior to your appointment. Take Exit #258-A / US 17 South (J Clyde Morris Blvd.). Turn Right on Diligence Drive (first light). Turn Right on Rock Landing Drive (next light). Turn Left on Omni Blvd. (CHKD Hospital). Turn Right onto Canon Blvd. and make an IMMEDIATE left into the parking garage entrance that faces Canon Blvd. and is attached to the Town Center One Building. 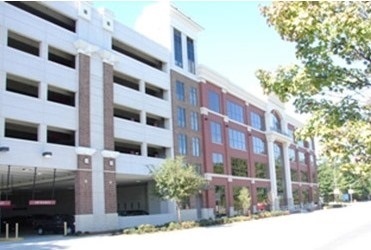 The Town Center One building and parking garage are located between Town Center Drive and Mariners Row. Go up the parking ramp to the 2nd floor, turn Right (PLEASE watch for other vehicles and pedestrians as this is a blind corner), and proceed halfway up the ramp. Reserved parking is provided along the building wall (left side) at the blue and white Mason & Associates reserved parking signs (Spaces 1 - 4). (Handicap parking is available to the right of the elevator, past parking space 16). Walk up the ramp and enter the building at the door marked "Town Center One," (located between parking spaces 13 and 14). Proceed straight through the next door and follow the hallway toward the elevator (located in the hallway on the right). Turn right and proceed past the elevators and down the hallway to the left. Suite 204 will be on your right. For security purposes, our office door is locked at all times. Please ring the doorbell and a Mason & Associates team member will greet you and have you sign in. Click here to download printable directions.